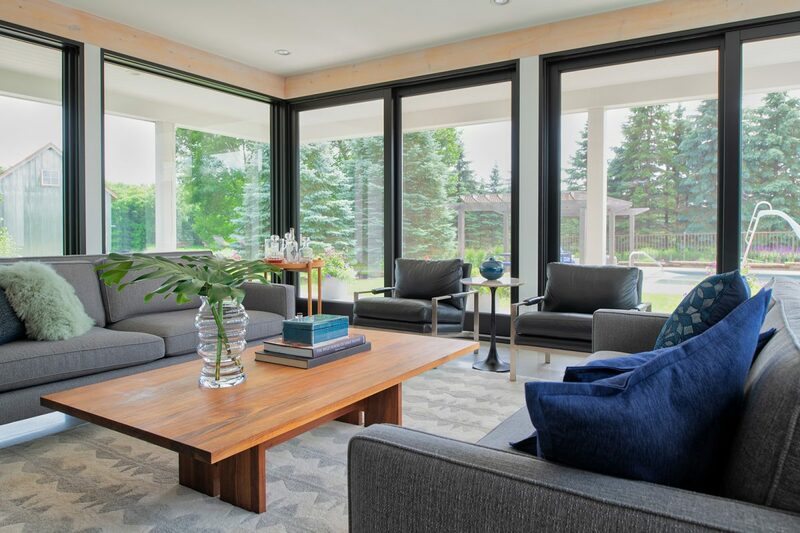 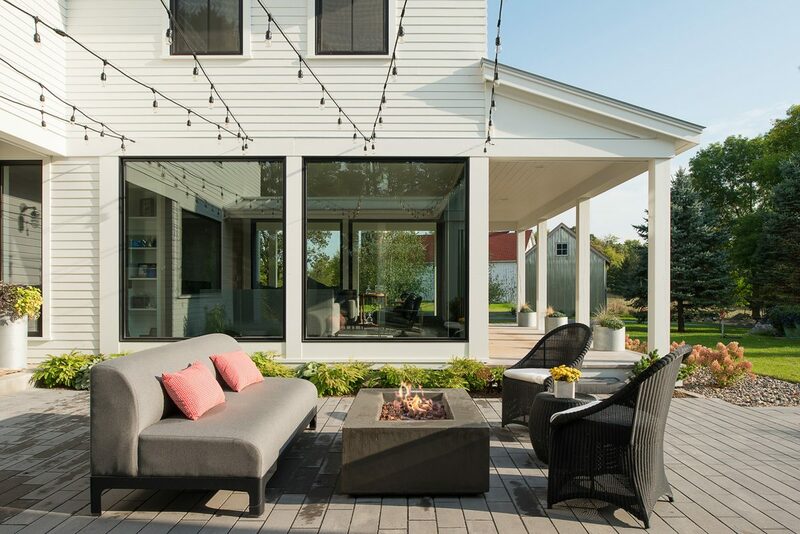 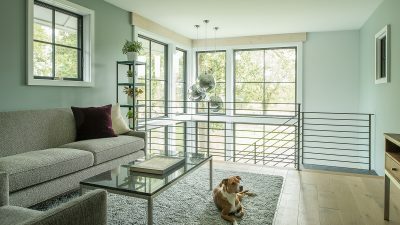 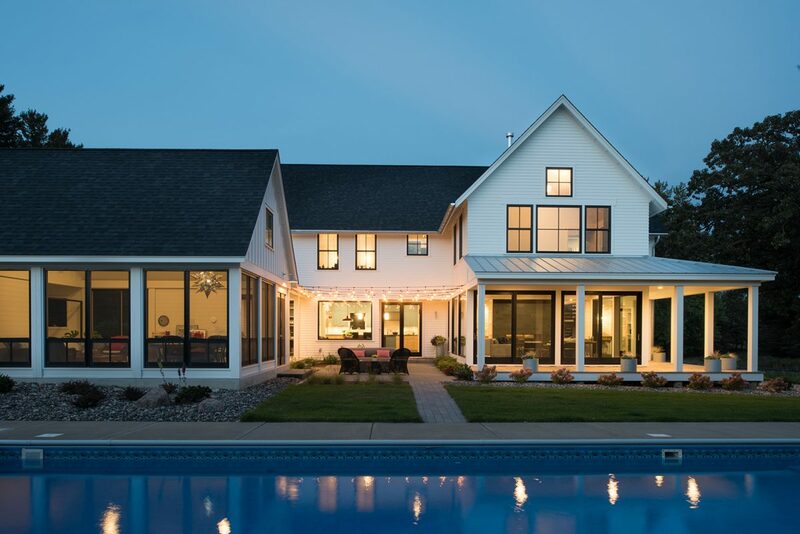 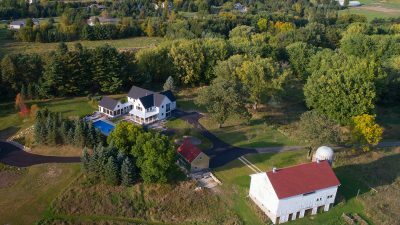 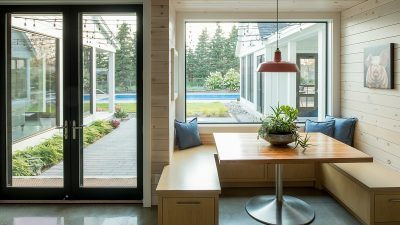 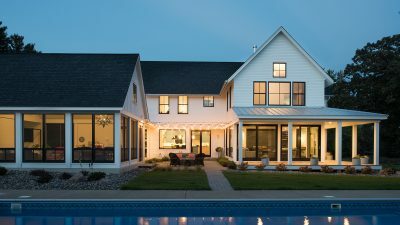 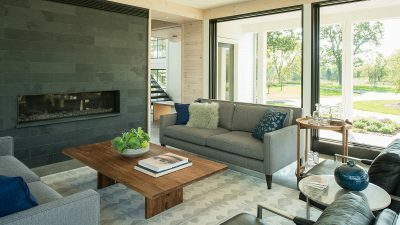 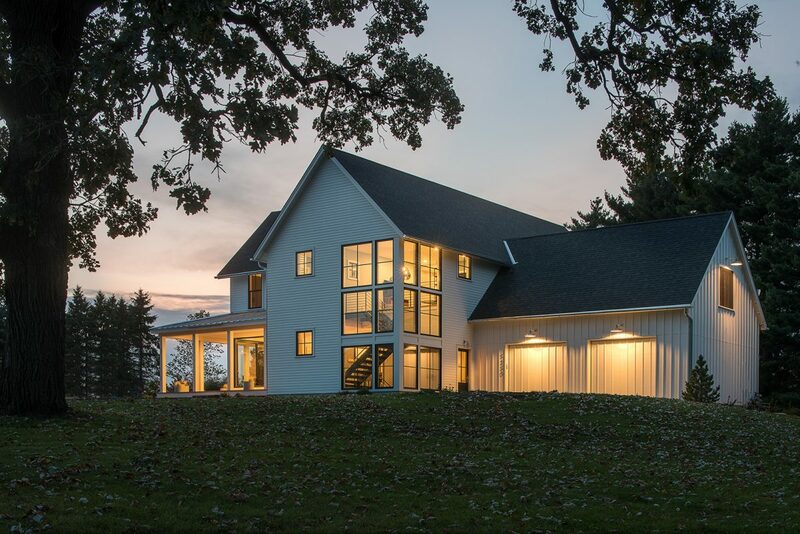 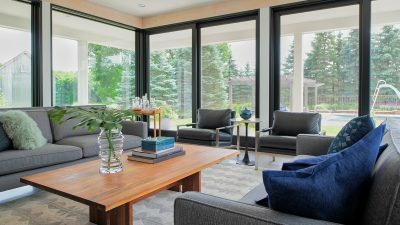 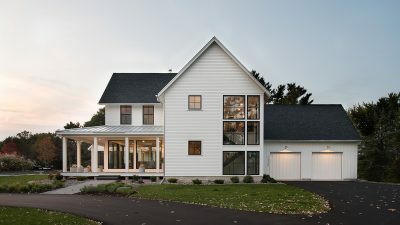 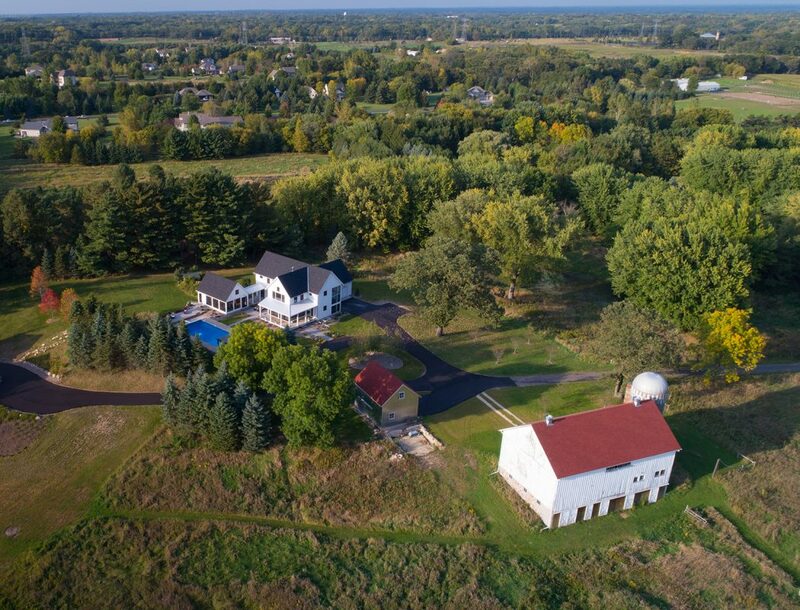 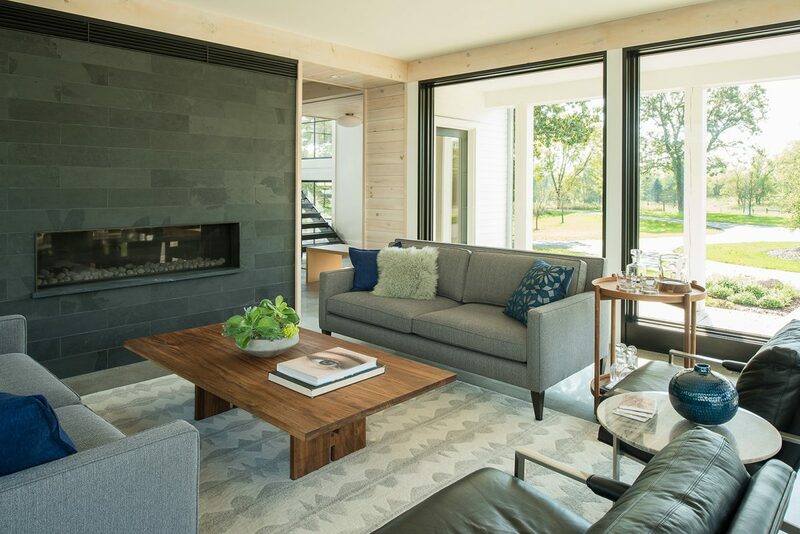 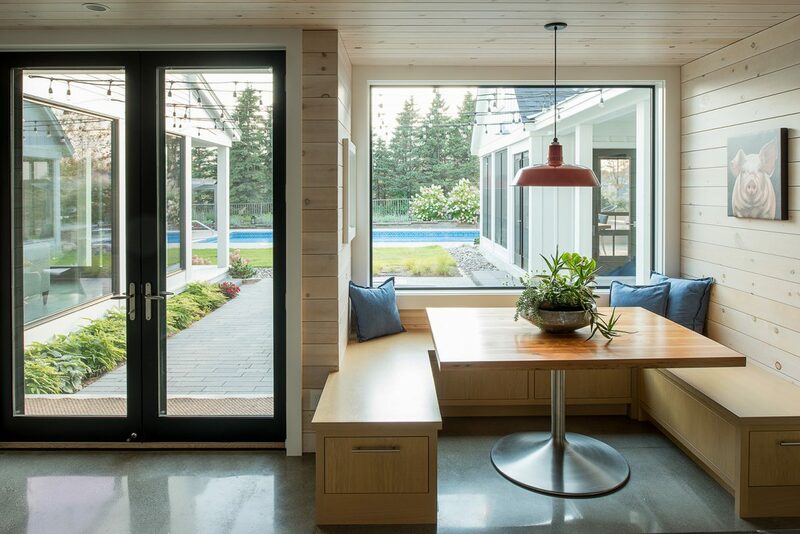 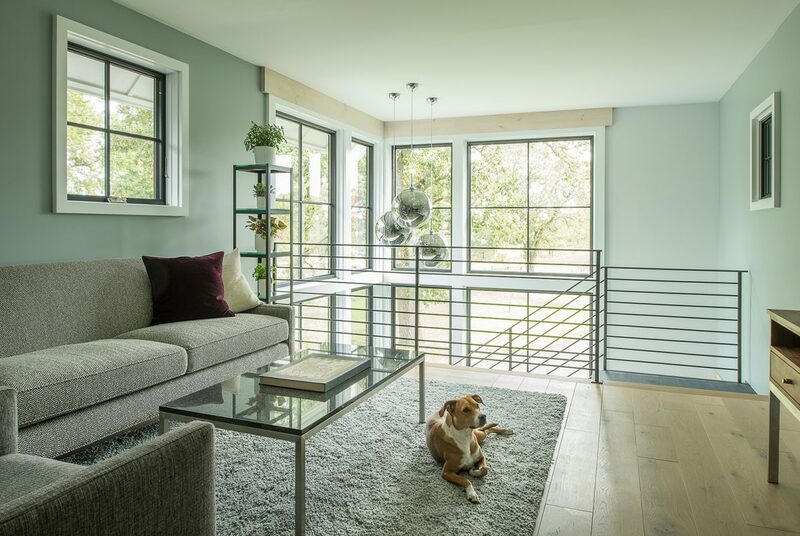 This modern farmhouse sits on an old farmstead in Lake Elmo. 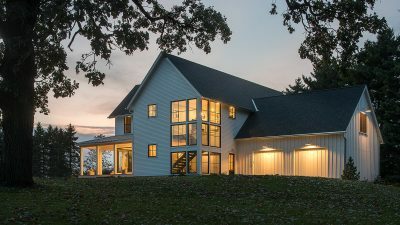 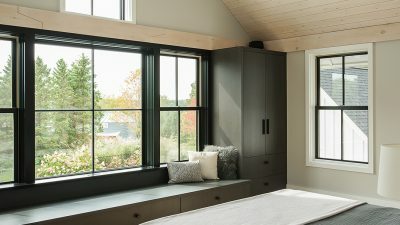 The homeowners wanted a comfortable home with an edge that celebrates the panoramic views of the rural site. 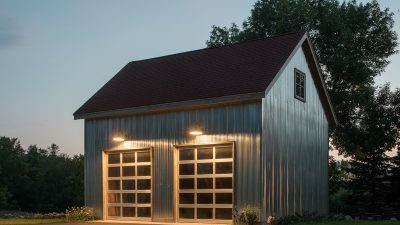 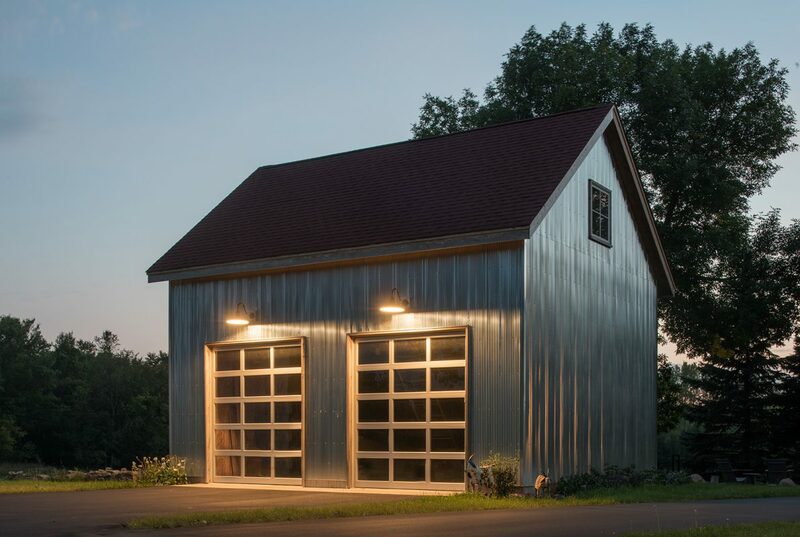 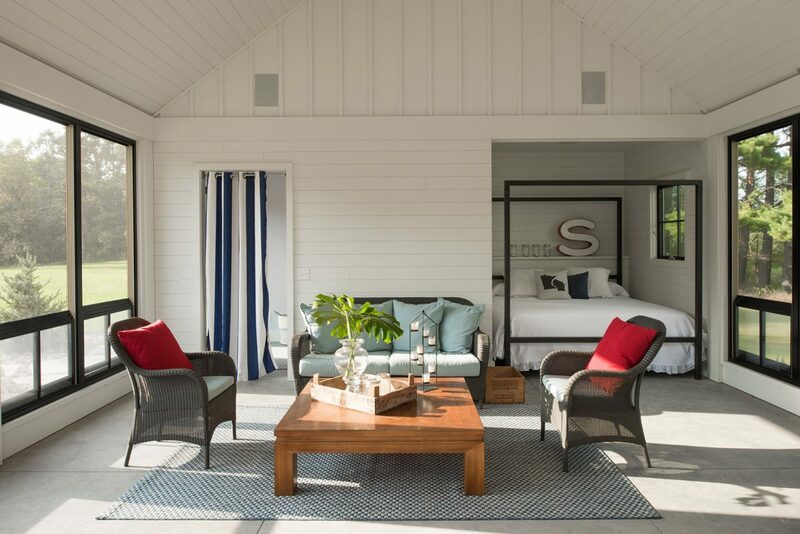 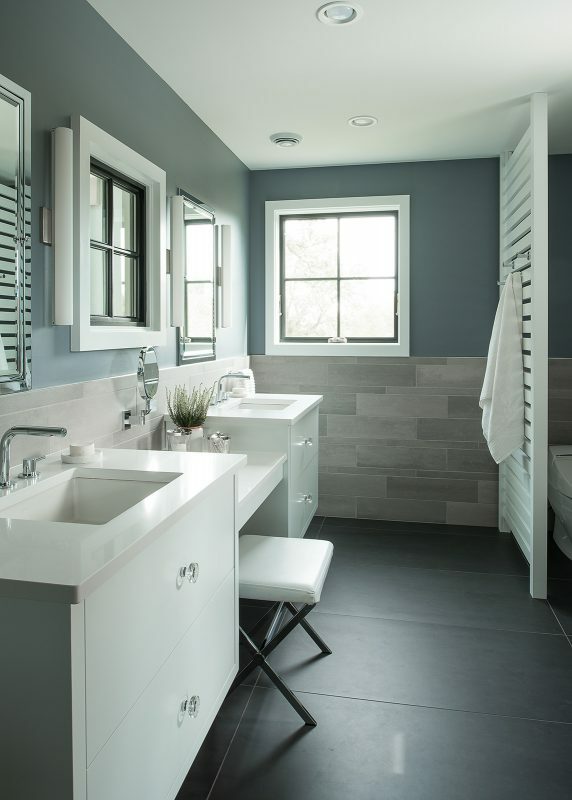 A vintage white barn served as inspiration for the exterior material palette. 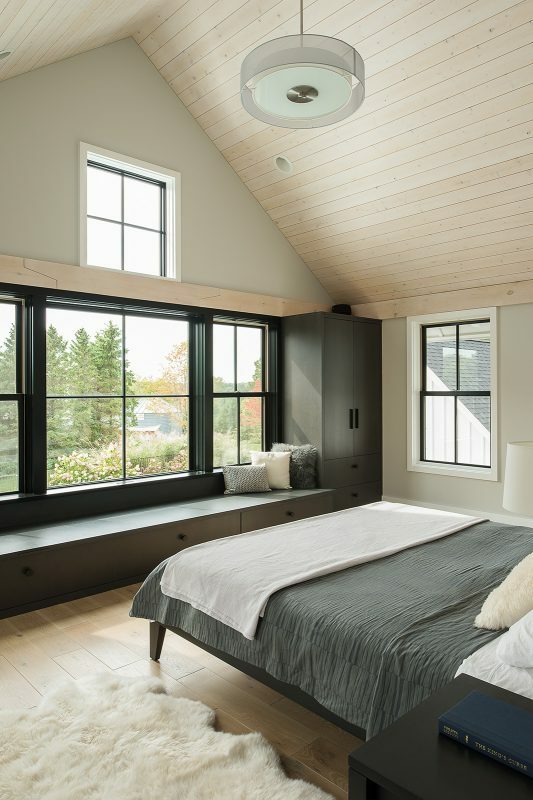 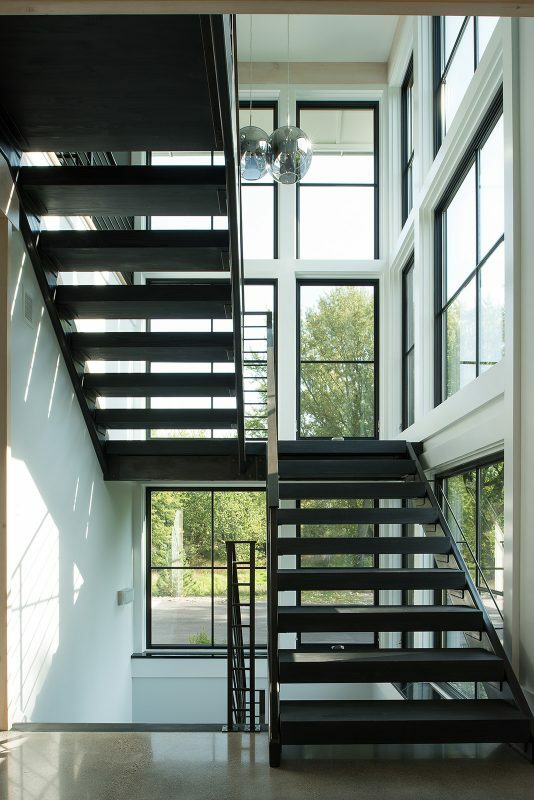 The traditional gable form is paired with a corner of glass that accents the steel structure of the stair within. 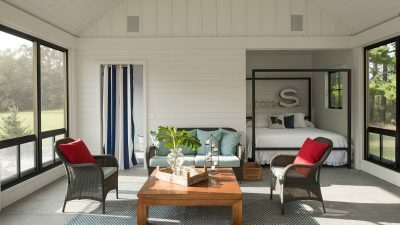 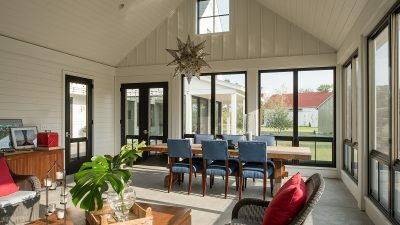 A classic wraparound porch on the south and west facades shelters the living room’s three sides of floor-to-ceiling glass. 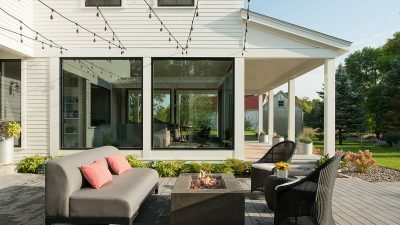 A covered walkway connects the house to the 3-season porch and forms a courtyard centered on the existing pool. 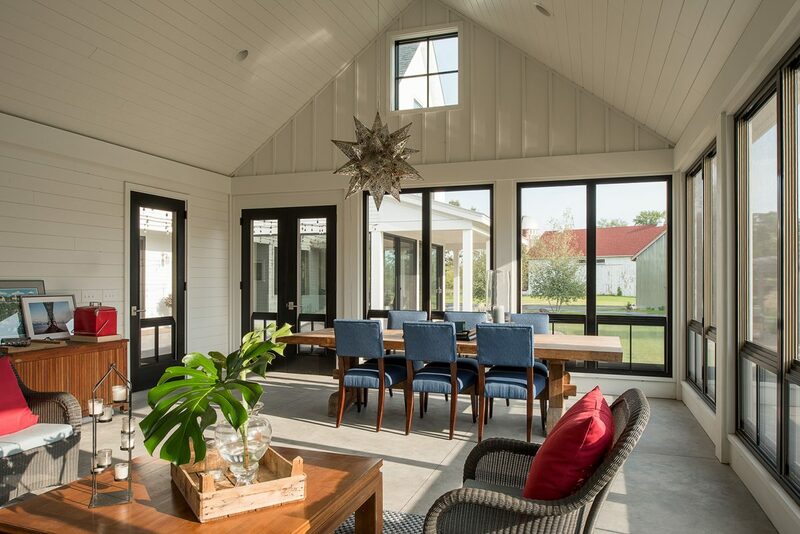 The kitchen opens up to this outdoor room that is perfect for intimate gatherings or entertaining a crowd. 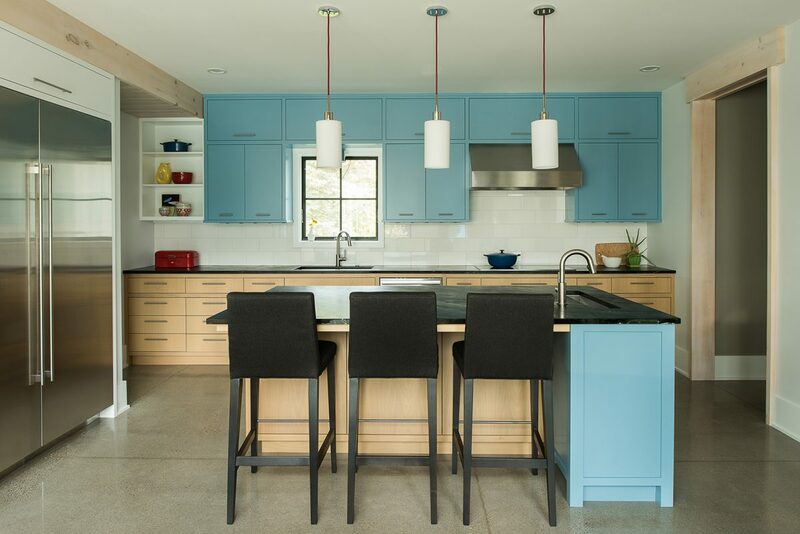 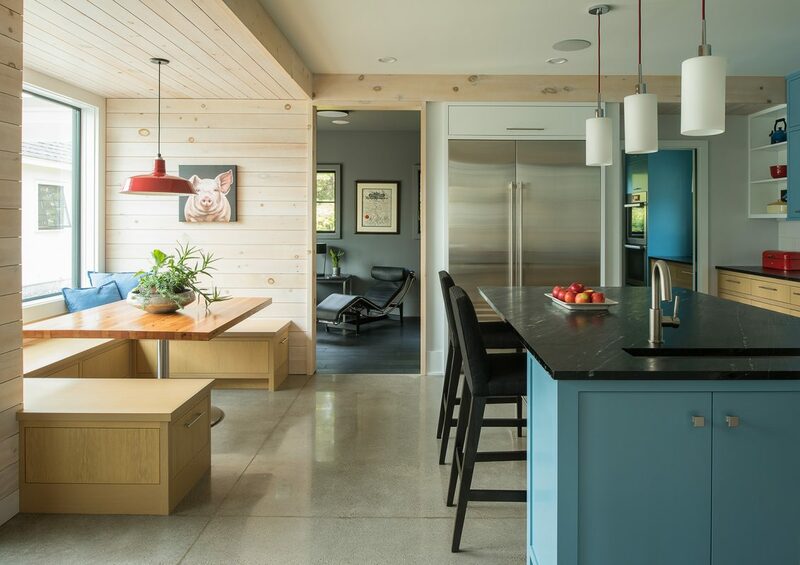 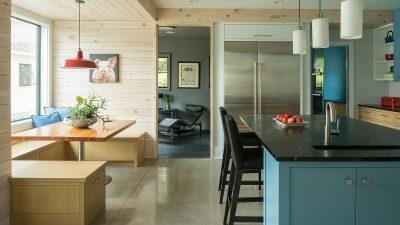 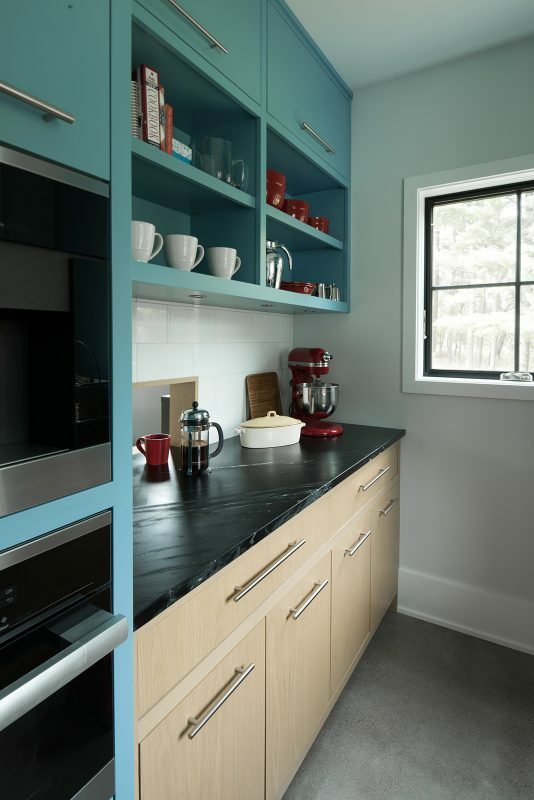 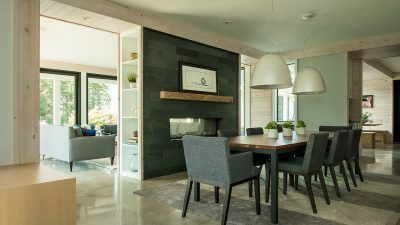 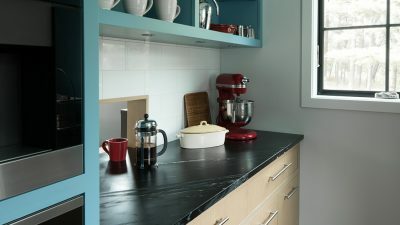 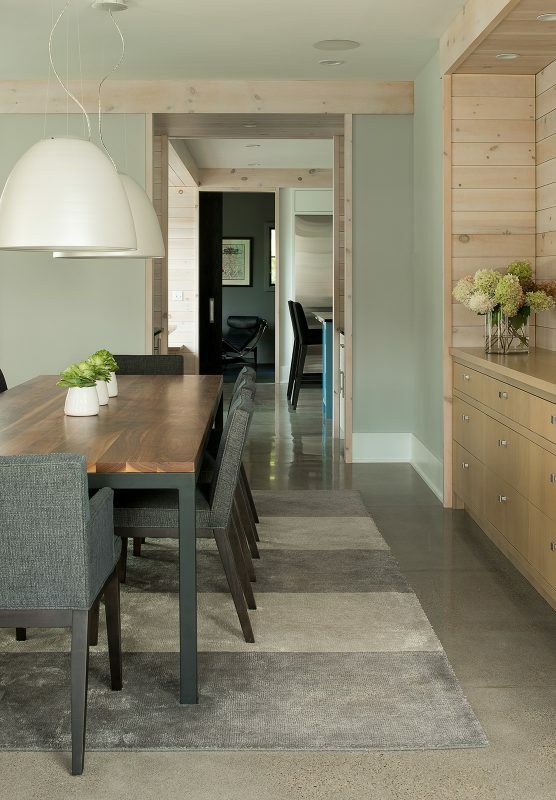 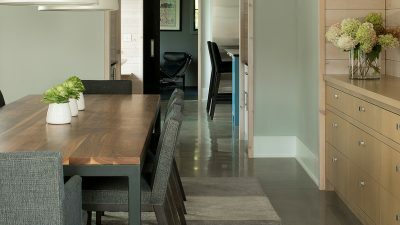 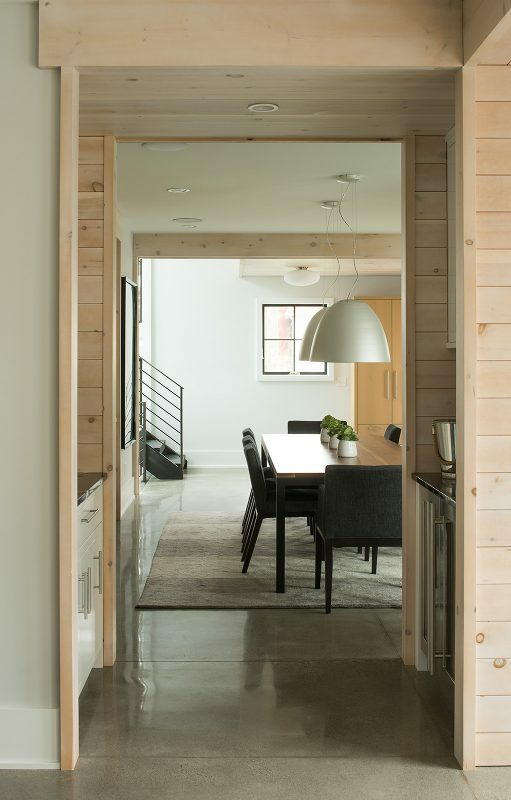 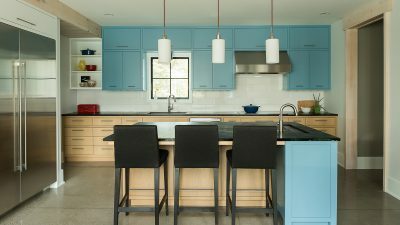 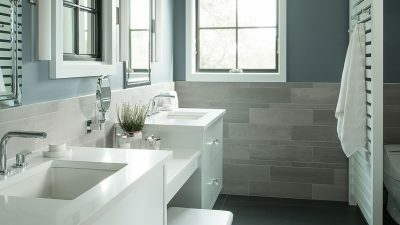 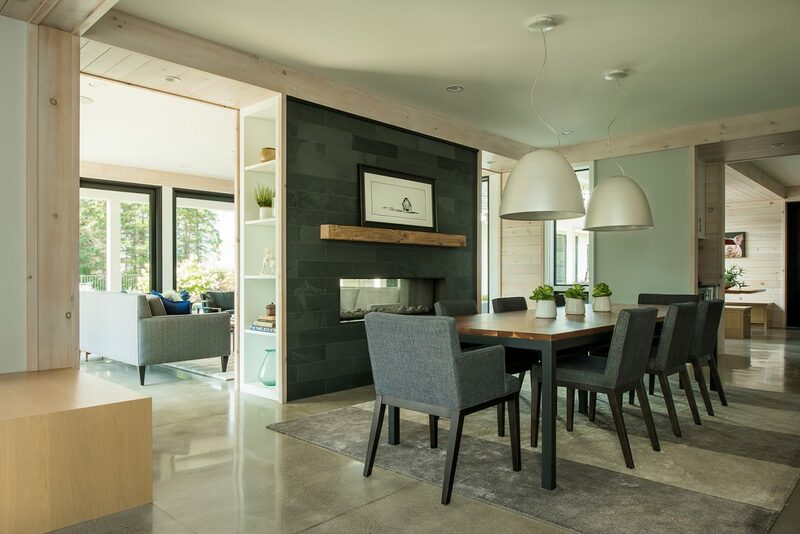 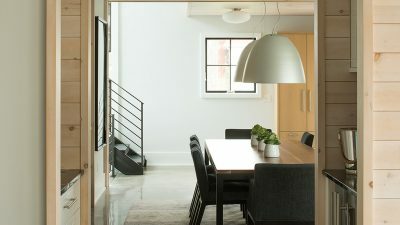 Surprises of color and materials are found throughout: polished concrete floors are combined with timber headers and whitewashed wood wall boards; hints of red complement white oak and fresh blue cabinetry in the kitchen. 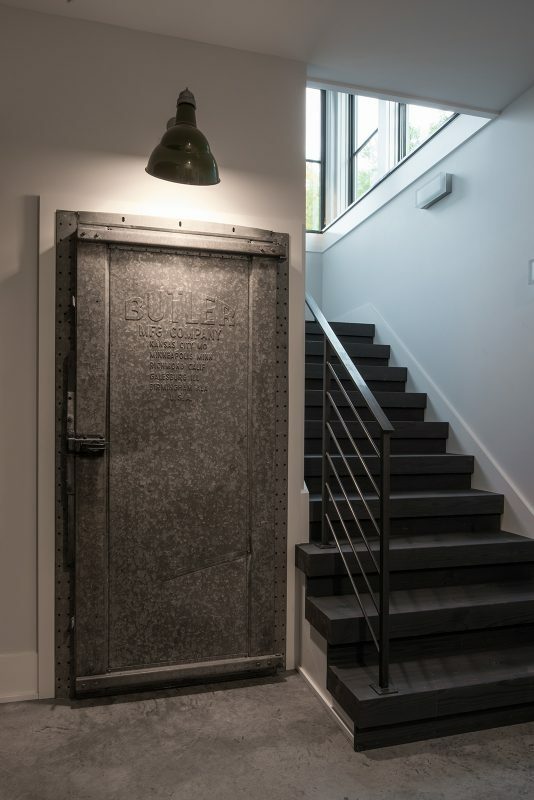 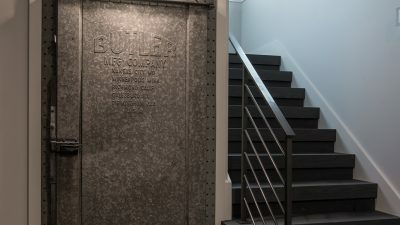 Reclaimed wood from the site was used for the fireplace mantel and barn doors, and an old metal Butler grain bin door was repurposed in the basement. 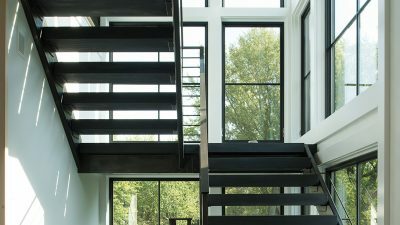 The spaces are defined but open, allowing for long views through the house that frame the surrounding pond, outbuildings and fields.